I recently received the NEWEST Bibbitec, I fell in LOVE with it after it survived not one BUT FOUR MEALS, before I even had to use water on it. The material is light and waterproof so baby food and milk just slides right off! After I'm done feeding I just rinse it off with water and viola a clean bib ready to reuse! No need to toss in the hamper and get a new one. 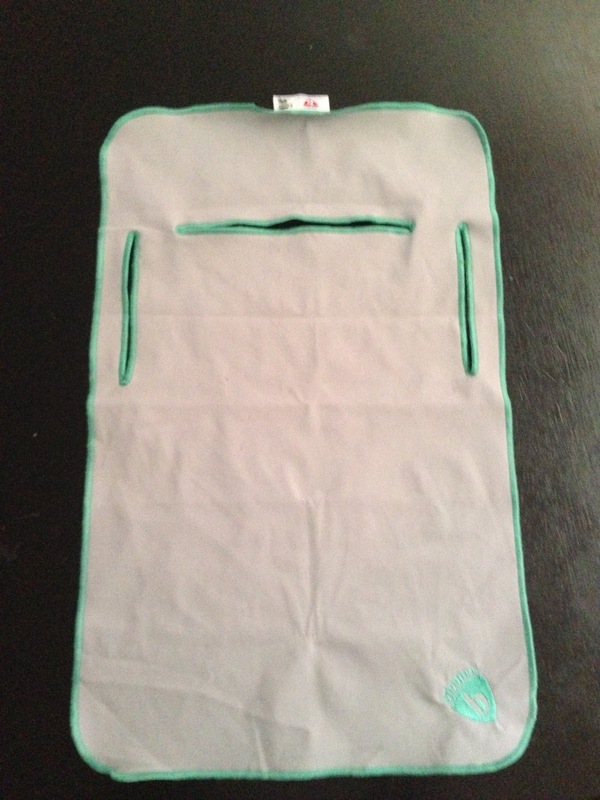 I also used this as a changing pad as a small mat to lay him on when there was no changing table at a restaurant . Just rinse in the sink, it drys in minutes and reuse. If you're looking for a one stop shop item to cut down on clutter, this item is definitely worth it! It has arm holes as well as a head hole so it literally covers under the neck to KNEES! 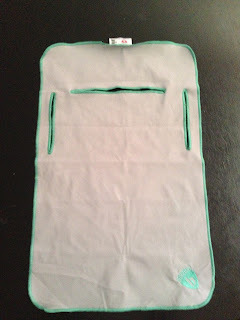 It really will work well as a smock for kids in daycare/school for painting! Does Bibbitec look familiar? They were on a episode of Shark Tank! They showed the sharks that an average mom spends $400 on bibs!! YIKES!! I know I spent even more since my son is a DROOLER! 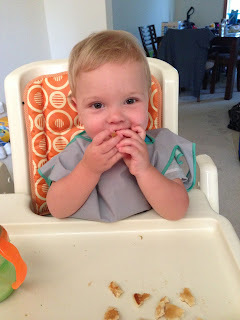 This bib eliminated the spending cost for me BIG TIME! I will be purchasing another 1 or 2 since my son only has 6 teeth so far !